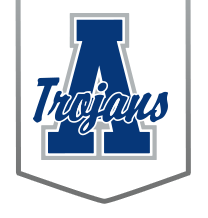 Andover Board of Education has approved no school for freshmen, sophomores, and non-testing juniors/seniors. The only students who should report to school on Wednesday, February 20 are juniors and seniors taking the statewide ACT. Juniors (and select Seniors) taking the ACT test on Feb 20th ​will need to report at 7:45 am for the ACT to begin at 8 am. The test will conclude for most around noon and testers will have the rest of the day off.